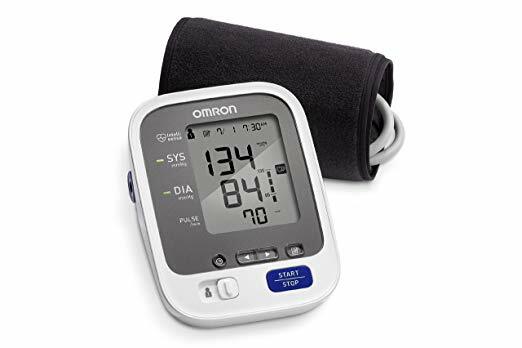 We looked at the top 10 Omron Blood Pressure Monitors and dug through the reviews from 78 of the most popular review sites including My Health Devices, Blood Pressure Monitor Headquarters, Cardio Critic, USA Home Gym, Assisted Living Today, BestReviews and more. The result is a ranking of the best Omron Blood Pressure Monitors. Our experts reviewed the top 10 Omron Blood Pressure Monitors and also dug through the reviews from 78 of the most popular review sites including My Health Devices, Blood Pressure Monitor Headquarters, Cardio Critic, USA Home Gym, Assisted Living Today, BestReviews and more. The result is a ranking of the best of the best Omron Blood Pressure Monitors. If you're looking for a top-of-the-line blood pressure monitor, you can't go wrong with the Omron 10 Series Blood Pressure Monitor. The device takes the average of three consecutive readings to ensure you get an accurate picture of your health. The ComFit cuff, designed for a comfortable and snug fit, improves accuracy and also accommodates a wide range of arm sizes. DWYM Health & Wellness Experts plus BestReviews, New York Times Wirecutter, Consumer Reports, Wear Action, Very Well Health, Gadgets & Wearables and 3 more. Along with user reviews from Amazon, Walmart, Best Buy and Target.
" Takes 3 readings at 1-minute intervals and averages them. Great visual indicators, including multicolor lights." "You are paying more for the Bluetooth connection, but it may not make sense to buy a blood pressure monitor with Bluetooth if you don’t think you’ll connect it with your smartphone." If you're looking for an effective and affordable unit, you should consider the Omron 7 Series Blood Pressure Monitor. Multicolored lights will help you determine how your blood pressure compares to normal readings. Meanwhile, a ComFit cuff will ensure an accurate fit during the reading. If more than one person in your home needs to regularly monitor blood pressure levels, this option allows you to store readings for multiple users. DWYM Health & Wellness Experts plus My Health Devices, Blood Pressure Monitor Headquarters. Along with user reviews from Amazon, Target, Walmart and Best Buy.
" It has great features with an affordable pricing." "However this monitor doesn’t have calibration checks, AM/PM averaging, or TruRead (averages 3 consecutive readings)." Although it's important to stay still during a blood pressure reading, the Omron Evolv Blood Pressure Monitor offers accurate results even with subtle movement. Designed for both average and large biceps, this model provides quick results. You can save the results in a smartphone app to help monitor your health on an ongoing basis. DWYM Health & Wellness Experts plus BestReviews, Everyday Health, Consumer Reports, Wearable, Gadgets & Wearables, My Health Devices and 1 more. Along with user reviews from Amazon, Target, Walmart and Best Buy.
" A wireless 1-piece that's quick and accurate." "The blood pressure cuff couldn’t hold more that one reading (though the app can), which meant other family members need to track their readings on their smartphone." You'll need to pump a bulb to take your pressure on the Omron Manual Inflation Blood Pressure Monitor. Its limited size only makes it fitting for biceps between 9 and 13 inches. However, the monitor's durability and low price also make it a competitive option against higher-priced automatic monitors. DWYM Health & Wellness Experts plus BestReviews, Top Ten Review Pro. Along with user reviews from Amazon and Walmart.
" Easy to use. Features a large digital panel for the blood pressure readings. Shows the pulse rate. Can show the previous readings through the memory storage. Cuff fits arms 9 to 13 inches." We identified the majority of the omron blood pressure monitors available to purchase. 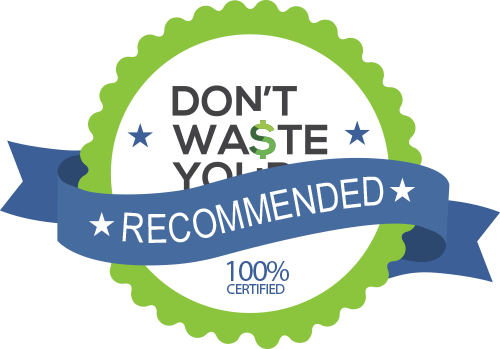 Reviews from our DWYM category experts and analysis of some of the most respected sources including: My Health Devices, Blood Pressure Monitor Headquarters, Cardio Critic, USA Home Gym, Assisted Living Today. Takes 3 readings at 1-minute intervals and averages them. Great visual indicators, including multicolor lights. The cuff is comfortable and easy to put on, especially compared to floppier cuffs such as the ones on the A&D monitors. Each reading is double-checked by a pair of dual censors to ensure that you will always get an accurate reading. The monitor’s easy-wrap ComFit cuff inflates around your entire arm, ensuring correct cuff positioning and precise readings. Comfortable and simple to adjust, the pre-formed ComFit Cuff inflates around the entire arm to avoid incorrect cuff positioning ensuring a precise reading and expandable cuff fits medium and large arms. Omron 10 Series BP786N and BP785N models are clinically proven accurate. Cuff will fit both standard size and large arms. Manages and tracks up to 100 blood pressure readings. Uses smart Bluetooth connectivity. Expensive, but you are paying for performance, accuracy, and features that are unmatched by any other product. You are paying more for the Bluetooth connection, but it may not make sense to buy a blood pressure monitor with Bluetooth if you don’t think you’ll connect it with your smartphone. Its being made for two users means that each time you use it, you have to make sure that the switch is on your file. Things can get pretty confusing this way! You’ll pay a little bit more for the Bluetooth functionality, but it’s worth it for the convenience and ease of use. Those looking for bells and whistles may be disappointed, but overall the Omron 10 blood pressure monitor is a reliable, simple “does what it says on the tin” device. The cost is little on the higher side compared to other home-based blood pressure monitors. The device’s lifetime may not be that long. It does not have a USB port. Easy to use. Features a large digital panel for the blood pressure readings. Shows the pulse rate. Can show the previous readings through the memory storage. Cuff fits arms 9 to 13 inches. No advanced or multi-user functions. High blood pressure affects one in three Americans, yet many don’t even realize they have it. Known as the silent killer, it can cause a sudden heart attack or stroke without any symptoms at all beforehand. If you have regular medical checkups, you’ll likely be tested before every visit. But for some people, at-home checks are critical to keeping it under control. For that reason, home blood pressure monitors have become increasingly popular in recent years. As technology evolves, these monitors have grown far more sophisticated, interacting with smartphones and even allowing multiple people in the same household to store their own information. But there are more than bells and whistles to a blood pressure monitor. Accuracy is a top priority, but it can get confusing since many devices promise accurate results. One method some devices use is averaging, which takes multiple readings and gives you the average of all. Some monitors also use AM/PM averaging to help you keep an eye on your overall daily blood pressure readings. Ease of use is another factor when you’re choosing a blood pressure monitor. You’ll need to consider how easy it is to slip the blood pressure cuff on and off your arm, as well as the screen that comes with the device. Some monitors have large, easily readable digital screens that clearly reveal your reading to take away the guesswork. Once you’ve seen the reading, though, you’ll probably also want to save it. Some blood pressure monitors store your readings to let you check back later. This makes it easy to compare from one day to the next. Newer blood pressure monitors also connect to apps that will break down the information for you in a more useful manner than a couple of numbers on a screen. If there’s more than one person in your household, you also may want to consider blood pressure monitors that store multiple readings. Instead of buying separate devices for everyone in your home who has high blood pressure, you’ll be able to consolidate everything in one place. Some monitors handle this more easily than others, though. So you may want to watch for one that makes it easy to capture multiple readings without having to always make sure you’re under the right username. 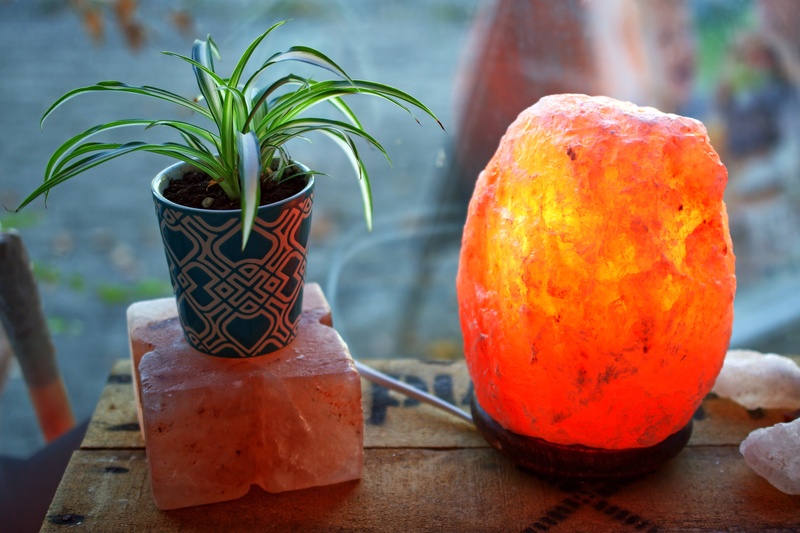 Although many blood pressure monitors are automatic, you’ll find some that require you to press on a bulb repeatedly to manually inflate the cuff. You can save money by opting for one of these models, and you’ll likely also find they’re more durable than their mechanically inclined counterparts. They also tend to be less expensive, although blood pressure monitors fall well below $100, so you might find it’s worth it to pay a little more for an automatic device. When shopping for a blood pressure monitor, It’s also important to remember that not all arms are the same size. Use a tape measure to check the size of your bicep, and then look for the size listing on any monitor you’re considering. Although there is some wiggle room in cuff sizes, making sure it handles your arm size can boost the monitor’s accuracy, as well as your comfort level. If it’s been a while since you’ve gone for a checkup, you may want to schedule one. In 2017, the American College of Cardiology and American Heart Association adjusted the blood pressure guidelines, dramatically increasing the number of Americans whose blood pressure is not within a safe range. For normal blood pressure, your systolic pressure, which is the top number, should be below 120. The bottom number, which is your diastolic pressure, should be less than 80. If your systolic is between 120 and 129, your blood pressure is elevated, and high blood pressure falls between 130 and 139 over 80 to 89. A blood pressure monitor will be of no use if its readings are inaccurate. The Omron 10 Series Blood Pressure Monitor uses dual sensors for accuracy. Three readings are taken, then averaged to ensure the information you’re getting is accurate. Although the Omron 7 Series Blood Pressure Monitor doesn’t use multiple readings, the design ensures accuracy. The Omron Evolv Blood Pressure Monitor has a program that provides precise results even if you move during the reading. The arm cuff plays an important role in accuracy. The Omron 10 Series Blood Pressure Monitor and Omron 7 Series Blood Pressure Monitor both use easy-wrap ComFit cuffs for a snug fit. This keeps the cuff firmly positioned in place, further ensuring the accuracy of results. The Omron Manual Inflation Blood Pressure Monitor uses manual inflation to check your blood pressure at home, so you’ll have to squeeze the bulb repeatedly, similarly to the way you’ve seen medical professionals do it. Other home blood pressure monitors do this work for you. No two arms are the same size, so it’s important to determine the size of your bicep with a tape measure before buying. Blood pressure cuffs are adjustable within a certain range, so it likely won’t have to be correct down to the centimeter. The Omron 10 Series Blood Pressure Monitor, Omron 7 Series Blood Pressure Monitor and Omron Evolv Blood Pressure Monitor are for medium and large arms, comfortably fitting biceps between 9 and 17 inches. The Omron Manual Inflation Blood Pressure Monitor can only cover arms between 9 and 13 inches. Blood pressure monitors are fairly inexpensive, usually ranging between $50 and $100. However, if you want a unit for under $50, go for a manual monitor like the Omron Manual Inflation Blood Pressure Monitor. It’s a little extra work to manually manage the cuff, but the cost savings may be worth it. Although advanced features are great, the simple design of the Omron Manual Inflation Blood Pressure Monitor makes it easy to use. However, once you get the hang of it, you’ll find that other blood pressure monitors are also fairly straightforward. The Omron Evolv Blood Pressure Monitor doesn’t put the directions on how to apply the cuff on the product itself, so you may want to store the manual with the unit. If getting a quick reading so you can go on with your day is important, consider the Omron Evolv Blood Pressure Monitor, which gives you results quickly. Although you may know your desired numbers, having a little help can come in handy. The Omron 10 Series Blood Pressure Monitor and Omron 7 Series Blood Pressure Monitor each have multicolored lights that show how your reading compares to normal results. One of the perks the Omron Manual Inflation Blood Pressure Monitor has is the ability to show your pulse rate alongside your blood pressure readings. The Omron Evolv Blood Pressure Monitor will alert you if you have an irregular heartbeat. How the results are displayed matters. The Omron 10 Series Blood Pressure Monitor and Omron Evolv Blood Pressure Monitor use simple white digits on a black background to make it easy to see your numbers. The Omron 7 Series Blood Pressure Monitor and Omron Manual Inflation Blood Pressure Monitor will give you black digits on a gray background. One of the benefits of the Omron 10 Series Blood Pressure Monitor and the Omron 7 Series Blood Pressure Monitor is that they can take multiple readings on the same unit. So, if someone living with you also needs to conduct regular blood pressure checks, the unit can switch back and forth, even storing the information. This can get confusing, though, since you’ll have to make sure the unit is on your file each time you use it. Although the Omron Evolv Blood Pressure Monitor can’t capture information and save it on the device itself, it does link up to a smartphone app that can store this information. Unfortunately, this means you have to sync your data every time if you want to maintain an up-to-date history of each of your readings. The design of the Omron 10 Series Blood Pressure Monitor makes it easy to put the cuff on and take it off, which is a plus for those who have dealt with floppier blood pressure cuffs in the past. If app connectivity is important to you, the Omron 10 Series Blood Pressure Monitor syncs up using Bluetooth connectivity so that you can check your results using the free Omron app. The Omron 10 Series Blood Pressure Monitor is also compatible with Alexa. Durability is worth considering if you want to get the most bang for your buck. Devices with simple builds like the Omron Manual Inflation Blood Pressure Monitor can be better for long-lasting reliability. It also comes with a one-year warranty. Another benefit to self-pump devices like the Omron Manual Inflation Blood Pressure Monitor is that you can calibrate. This can provide an assurance of accuracy that you won’t get with an auto-inflate monitor. If you plan to take your device on the go with you, consider the Omron Evolv Blood Pressure Monitor. It’s both compact and wireless, which makes it easy to tuck into your bag and use anywhere. The Omron 10 Series Blood Pressure Monitor includes an A/C adaptor, but it will also take AA batteries. The Omron 7 Series Blood Pressure Monitor works with an A/C adaptor (sold separately), and the Omron Evolv Blood Pressure Monitor and Omron Manual Inflation Blood Pressure Monitor run solely on batteries. 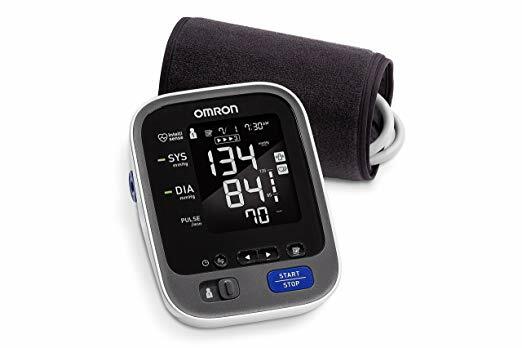 For the Omron Blood Pressure Monitor category, we analyzed 78 of the most popular reviews including reviews from My Health Devices, Blood Pressure Monitor Headquarters, Cardio Critic, USA Home Gym, Assisted Living Today, BestReviews and more. The result is a ranking of the best Omron Blood Pressure Monitors.